Our granolas are hand made in small batches in the farm kitchen. We use high quality ingredients, principally organic. Our Gluten Free Granola is made with gluten free oats and sweetened with maple syrup and honey. It is full of nutty goodness from walnuts, coconut, pumpkin seeds and sunnies. Ingredients: *gluten free oats, *walnuts, *sunflower oil, honey, *sunflower seeds, *pumpkin seeds, maple syrup, salt. 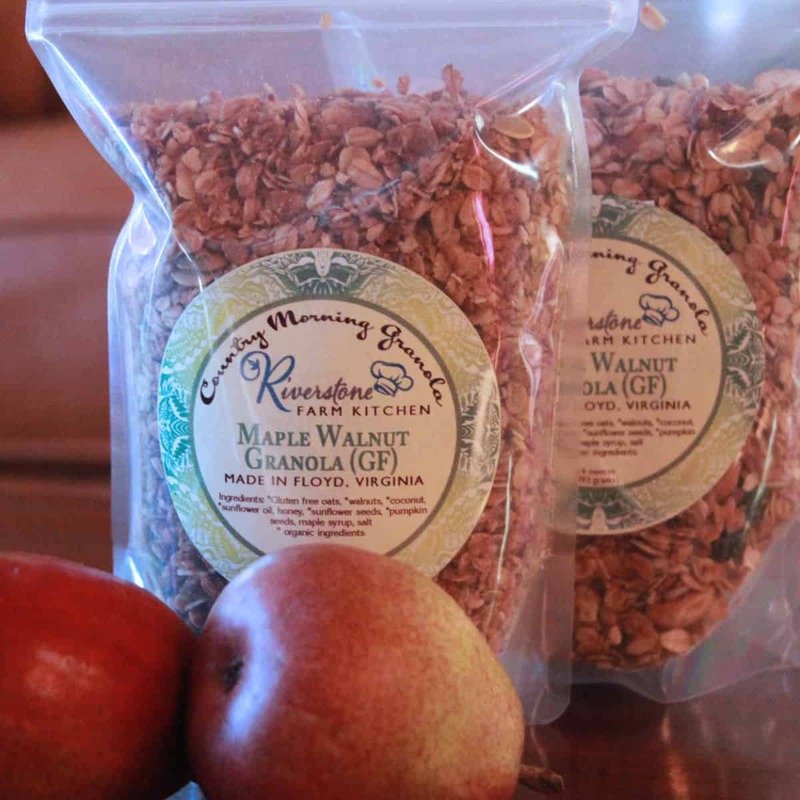 Granolas are vacuum sealed for freshness. Riverstone Kitchen products are made on the farm in our beautiful certified kitchen. This allows us to take fresh produce right from the fields and make our jams, chutneys and other preserved products. We also do some baking, in particular we make organic granola.